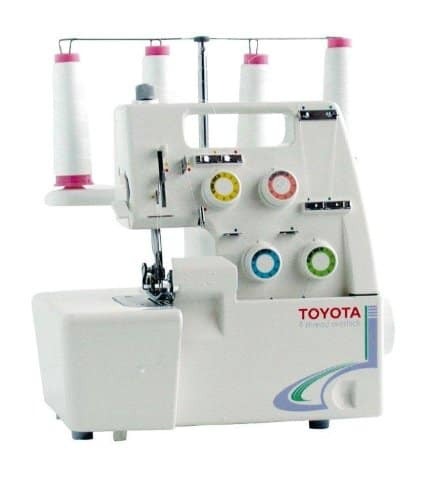 Once you have a good quality overlocker that you love using then your mind might start wandering to consider the accessories that could make it even better and easier to use. Chief among them could be the bag you use to carry your sewing machine about in. 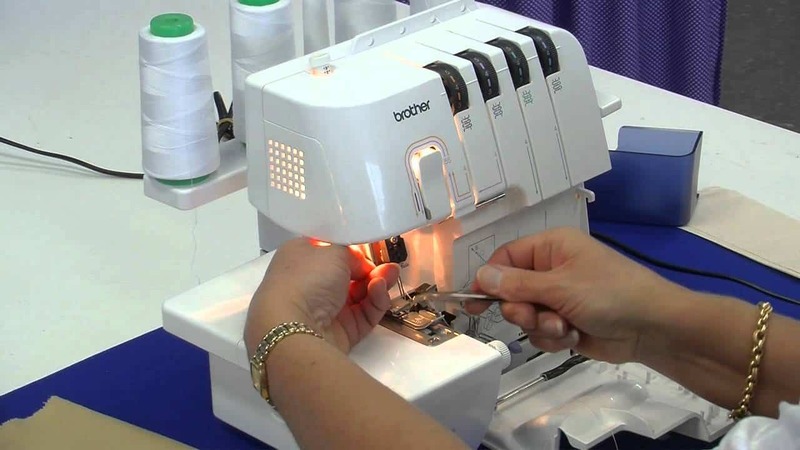 With this in mind, you could decide to look into the different overlocker bags on the market right now. There are some very good reasons for thinking that buying one of these bags is a great idea. 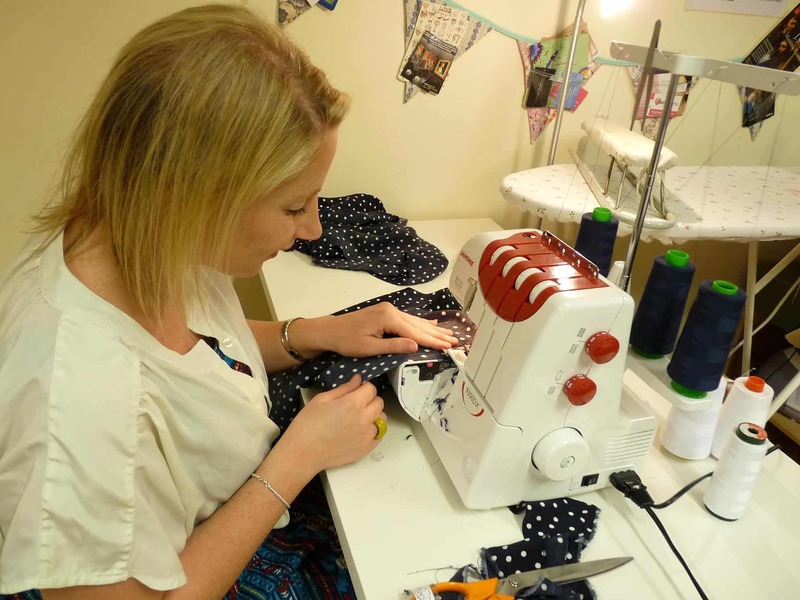 There are some clear benefits to be found when you get a bag for your overlocker. For a start, this will help you to store it away tidily together with all of it accessories. Another aspect to consider is the safety. You don’t want to leave sharp and potentially dangerous objects lying around the house, especially if you have young children who might think that they are toys. 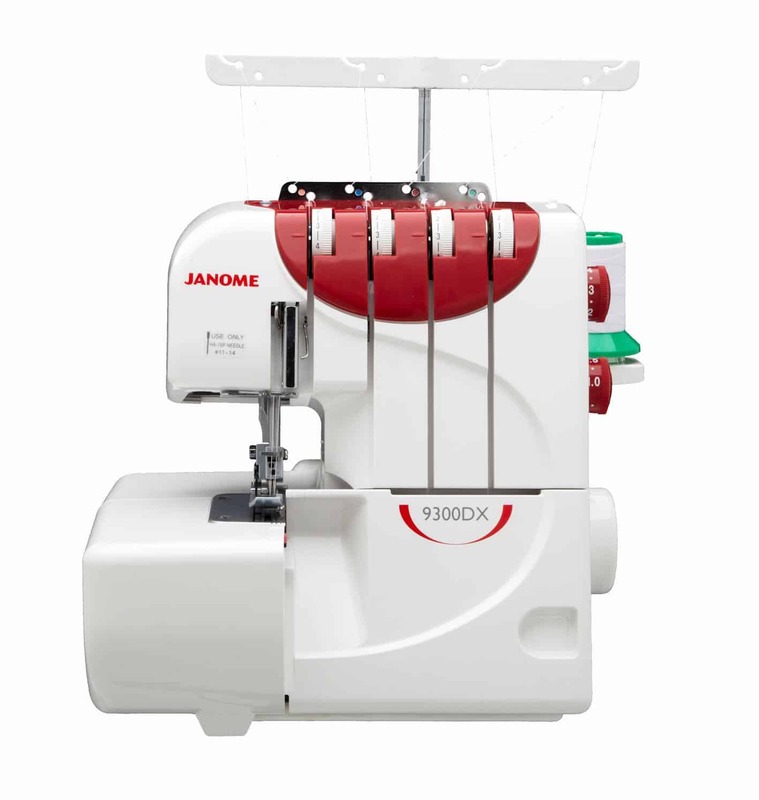 Of course, if you get the right bag then this means that you will also be able to transport your sewing machine easily and comfortably. If you like the idea of using it to carry out some jobs in different places then a good bag will let you do that effortlessly. The first point you will want to take into consideration is the size of the bag. Obviously, you want one this is big enough to fit your machine into comfortably and without risking any sort of damage. 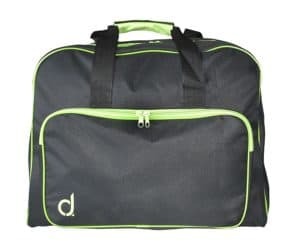 If you have a lot of accessories to store away as well then you will be keen to find a model of bag that has enough pockets to put them all away in too. Therefore, you might like to check out the following reviews, to see which bags look right for you. 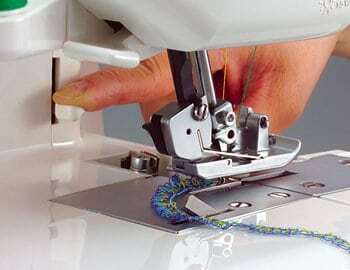 With dimensions of 33 x 38 x 35cm, this SewEasy MR4650 model is perfect for many different models of overlock sewing machine. It is made in a good-looking navy colour and has some big compartments for storing everything in. The padded walls on the sides also give you added comfort, knowing that if you accidentally bang it off something then the bags offers a decent degree of protection. 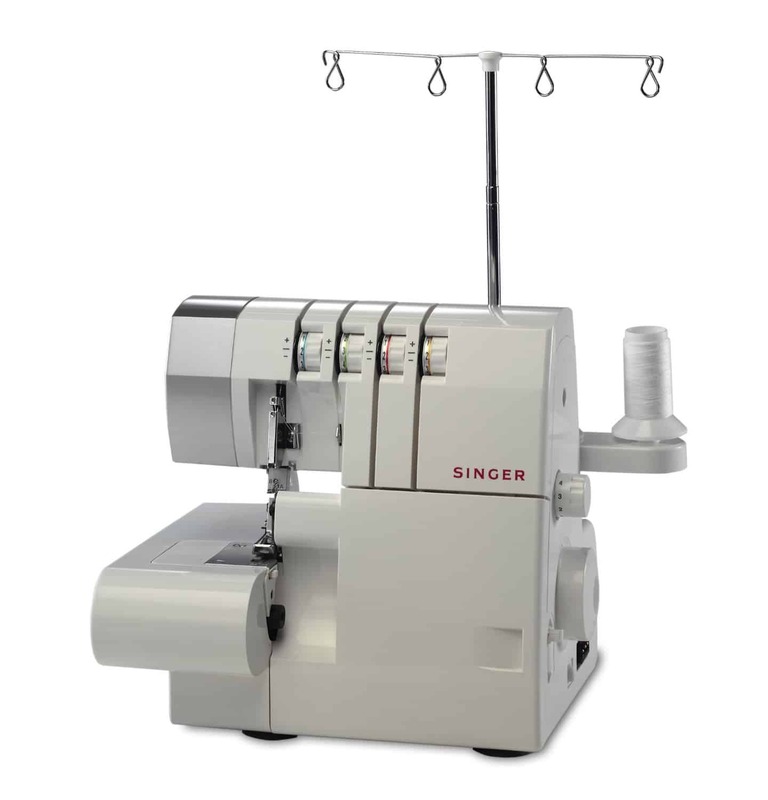 Do you need a lot of space to fit in your sewing machine and all of the accessories? If you do then the roominess of this big bag should be perfect. The classy Andrew James Padded Sewing Machine Storage Bag measures up at an impressive 43cm x 35cm x 22 cm. It has extremely useful features such as 3mm thick foam padding and a big front pocket for storing all of those vital accessories. 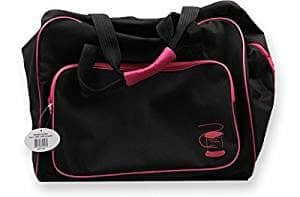 This is a fashionable looking black sewing machine bag with fuchsia trim around it. With dimensions of 43 x 35 x 22 cm only the biggest and bulkiest overlockers should have any problem fitting in here. 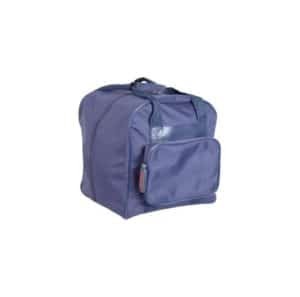 As with the best bags of this type, you will find a good level of padding to keep your machine securely protected while on the move or stored at home.